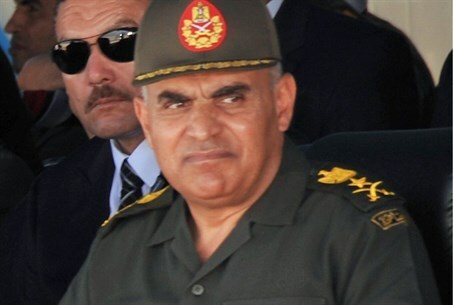 Egypt’s army chief is reportedly preparing the electoral agenda he will present when announcing his candidacy for the presidency. Egypt’s army chief, General Abdel Fattah al-Sisi, is preparing the electoral agenda he will present to the country when he announces his candidacy for the presidency, Al-Arabiya reported on Monday, citing the Egyptian newspaper Al-Watan. According to the report, Sisi is consulting with three prominent officials regarding his decision to run for the presidency. Sisi, 59, has been tipped to become the country’s next president and while he is yet to announce his nomination, speculation is rife. According to the daily, when announcing the news of his candidacy, Sisi will also announce a developmental and economic plan that begins from Upper Egypt and the Sinai. The report added that Sisi himself is developing the plan which includes urgent measures to resolve problems in these areas. In the speech he will deliver to announce his candidacy which, according to Al-Watan, he will write himself, Sisi is also set to discuss environmental issues. Sisi has gained wide popularity across the country since he led the ouster of Islamist President Mohammed Morsi and the Muslim Brotherhood last July. Al-Arabiya noted that many political parties, including the Tamarod youth movement which led the June 30 protests that led to Morsi’s ouster, also support Sisi becoming a candidate for presidency.